On Monday, June 30, Priests for Life expressed satisfaction with the Supreme Court’s decision in the Hobby Lobby case. Upon further analysis of that decision, we continue to be encouraged by it and by its implications for our own case, which has already been argued in the DC Circuit Court of Appeals, which could issue its decision any day, potentially setting up another Supreme Court case regarding the HHS mandate. In Hobby Lobby, the Court said that the Obama Administration was wrong in trying to force this — and other similarly situated businesses — to obey the HHS Mandate by providing insurance coverage for “services” that the business found morally objectionable. Why was the Administration wrong? Because outside of the most unusual circumstances, the government can’t stop people from living their lives — and this includes conducting their businesses — according to their religious convictions. Nor can the government be the one to decide whether those religious convictions are reasonable. The Supreme Court made that very clear in the Hobby Lobby decision. What’s happening here is that the Obama Administration wants to expand access to abortion and contraception. It is, in fact, my conviction that Obamacare itself is a bailout of the faltering abortion industry. Now if the Administration thinks this is an important goal, we have news for them: they are going to have to pursue it without us. We are not going to lift a finger to help. We are encouraged by the Hobby Lobby case because the Court clearly stated that while this “accommodation” might be a solution for businesses, because having it is less restrictive of their religious freedom than not having it, the Court was not deciding whether the accommodation was the right solution for those who object to it. In other words, Hobby Lobby was not objecting to the accommodation, which they did not have in the first place, but rather to the provision of insurance for the objectionable practices. And the Court said it was not up to them to second-guess the reasonableness of those objections. For us, then, our objection to the accommodation falls under the same category of a sincerely held religious belief which — as the Supreme Court clearly said — the government cannot force believers to violate. If the government wants to provide citizens with coverage for things we teach are immoral, they can do it themselves. Don’t look for any cooperation, authorization, or facilitation from us. That is the approach that is least restrictive to our religious freedom, and that’s why we are confident as we await the decision in our own case. Fr. 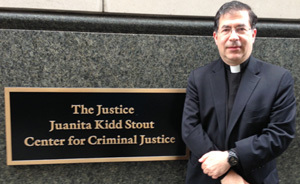 Frank Pavone is the National Director of Priests for Life.